This season, Lindisfarne Sailing Club is offering invitations to trailer sailers and sports boats to participate in their 4 weekend invitation series. Lindisfarne Sailing Club will be offering mixed fleet racing for trailer yachts between 5 and 8 meters long - the series will be known as the North Sails Trailable Series. Handicapping and results will be calculated by performance based handicapping systems using national handicapping benchmarks as a starting point. Hartley TS16, Elliott and the I550 design owners have already expressed interest in the series. Sailing will commence at 12.30pm (Sunday only)and will be run as a mini series. To make a full weekend of it, competitors can also participate in the LSC/MYCT Friday Night Twilight Series race beforehand if they wish. 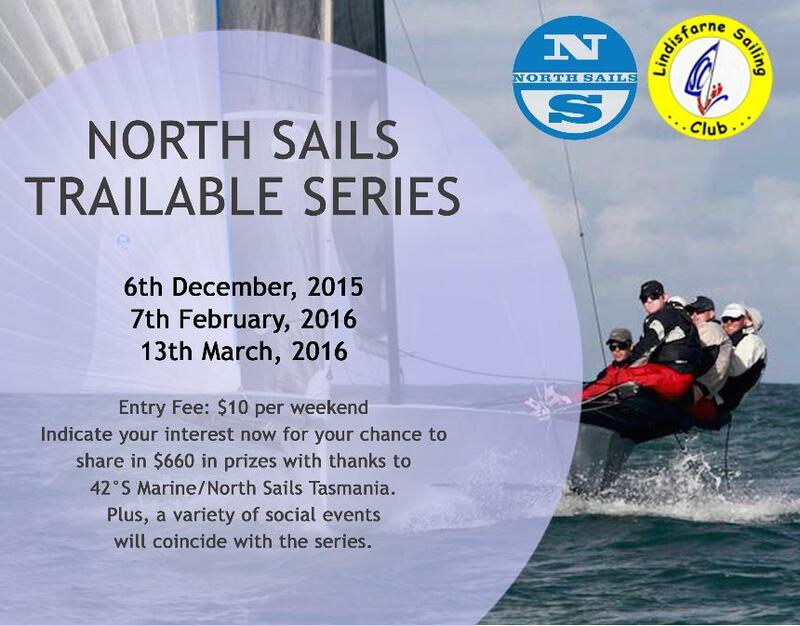 With the North Sails Trailable Series, Lindisfarne Sailing Club hopes to provide a unique opportunity for sailors to compete alongside other trailable classes withinTasmania.